Contact lenses can be divided into two main groups: gas permeable (GP) and soft contacts. Individually designed and created for each patient based on their specific eye measurements. In some cases provide crisper vision than many soft lenses due to the firmness of the materials. Sometimes easier to care for than soft lenses. Easier to recognize what side should come in contact with the eye when inserting the lens. More deposit resistant than soft contact lenses. Must be worn on a regular basis to keep the lids adapted to the firm material. Easier to adapt to than GPs. Available in many designs and almost any prescription. Good vision for most prescriptions however, some prescriptions (like high astigmatism) may give variable vision as the contact lenses move with the blink. May cause dryness in some patients since they absorb a portion of the tears to stay wet. More likely to contain protein deposits from your tears and harbor bacteria. Depending on the material and amount of time worn, soft contact lenses must be replaced on a regular basis. This may be daily, weekly, every 2 weeks, monthly, quarterly or yearly. Technically, disposable contact lenses are those that are worn only once and then thrown away. This type of contact lens is called a daily replacement contact lens. However, the term disposable has come to refer to any type of contact lens that is replaced on a regular basis. The most common replacement schedule is every two weeks or monthly but there are quarterly and annual replacement contact lenses also available. Since a contact lens rests directly on the cornea, the surface of the lens must be free from deposits and clean. Otherwise, irritation, general discomfort, or infection may occur. Disposable or frequent replacement contact lenses are healthier since they are replaced on a regular basis, decreasing the probability of deposits and bacterial attachment to the lens. These contact lenses are often very easy to clean and usually do not require any daily cleaner or enzymatic remover like traditional yearly replacement soft contact lenses. Disposable lenses are available in both nearsighted and farsighted corrections and toric disposable lenses can correct for astigmatism as well. Disposable lenses are also available in several color choices, from enhancer tints to opaque lenses, designed to completely change the color of the eye. 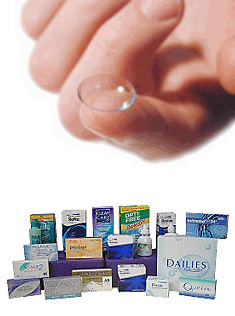 Disposable contact lenses even offer protection from harmful ultraviolet radiation. Soft contact lenses are not all made the same. Standard contact lenses correct for either nearsightedness (myopia) or farsightedness (hyperopia). These lenses are "spherical", containing one uniform power across the lens. But for those persons who have corneas with astigmatism, a condition causing light to focus on more than one point behind the cornea, specialized contact lenses are needed. These are called toric contact lenses. Toric Contact Lenses are lenses that contain both a curvature to correct for myopia or hyperopia as well as the additional curvature that corresponds to the astigmatic corneal curve. These lenses are often weighted to maintain proper alignment on the cornea. Toric lenses are available in soft and gas permeable contact lens designs. Soft toric contact lenses are also "disposable", replaced on a daily, two week, monthly or quarterly schedule. Both soft and rigid toric lenses are available in bifocal designs. For patients who cannot adapt to a bifocal contact lens, or for patients who see clearly at distance with one or both eyes, monovision is an option. In a monovision fit, one eye is corrected to see well at distance and the other is used to see up close. There is an adaptation process as the brain gets used to "seeing" in this new way. Most people are able to adapt to monovision in a few days to a week. Some people may experience slightly diminished depth perception and may need to alternate between their contact lenses during the day and a pair of conventionally fitted contact lenses or eyeglasses for certain tasks. Both soft spherical and soft toric lenses are available in extended or overnight wear. This option is not recommended for everyone and only your doctor can determine if it is an option for you. 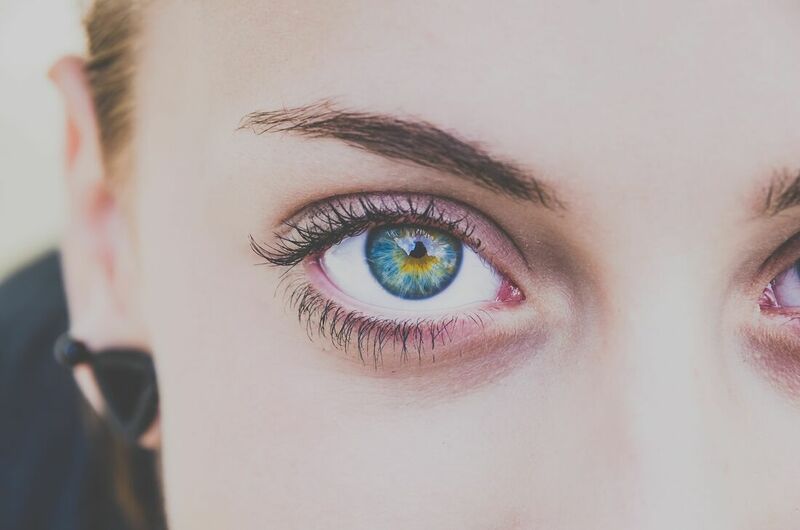 We also offer specialty contact lenses for conditions such as keratoconus, irregular astigmatism, post refractive surgery, and other medically necessary reasons.